Mrs. ReaderPants: What's Your Genre Personality? Quiz: A fun way to recommend books and genres to students! What's Your Genre Personality? 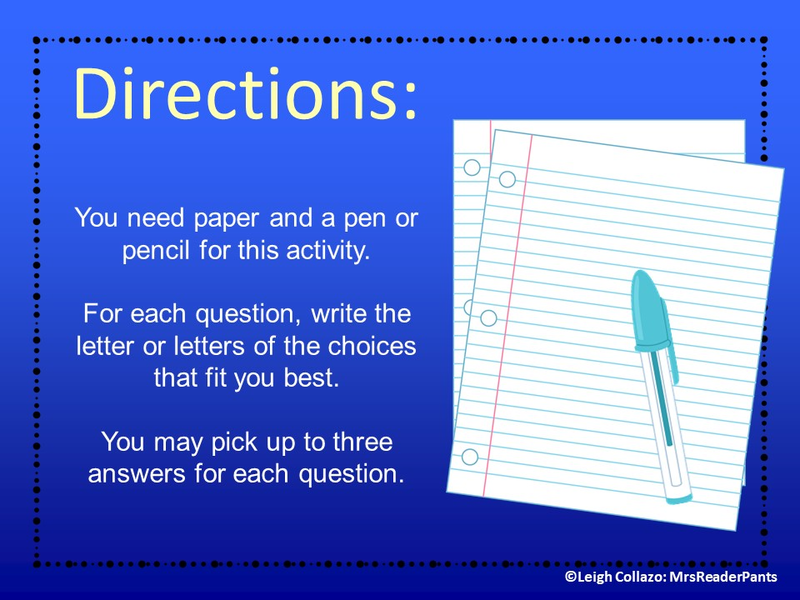 Quiz: A fun way to recommend books and genres to students! UPDATE: July 30, 2018--A new genre personality has been born! 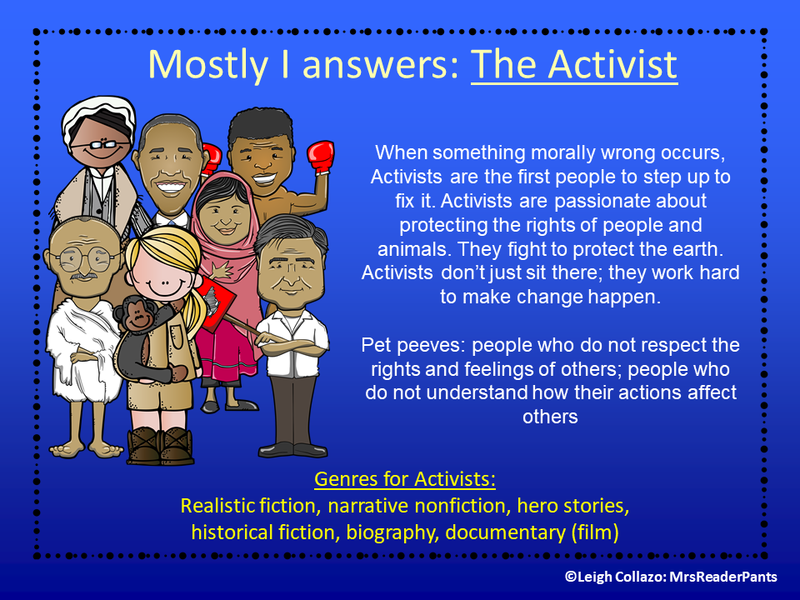 Introducing...The Activist! I have updated the quizzes and bookmarks on TPT to reflect this ninth genre personality. If you purchased the product previously, you can download the update free by clicking the link below. The Genre Personality Quiz is great for Back to School! 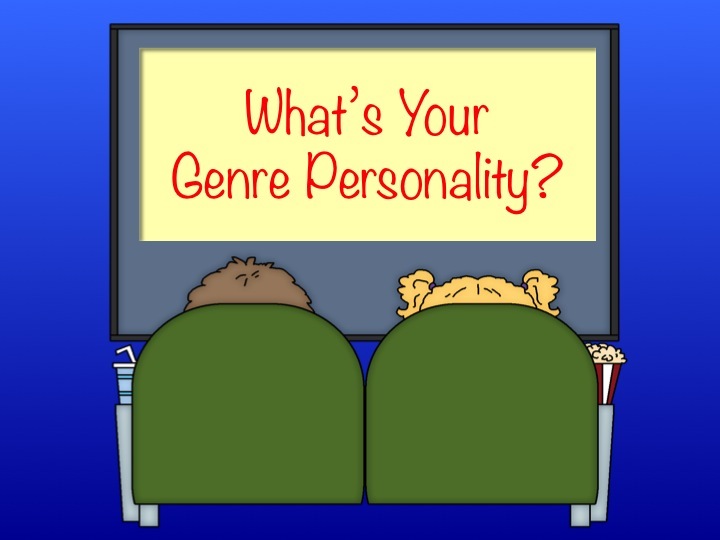 You can use the Genre Personality Quiz with almost no preparation--it's all ready to go! If you already purchased the quiz on TPT, go here and re-download the file. Hello, Activist! 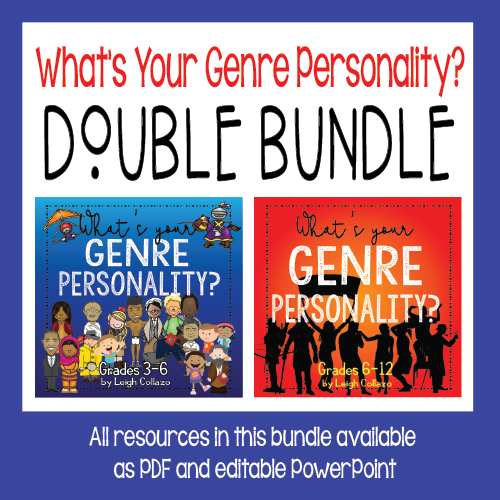 Download both elementary and MS/HS genre personality quizzes at Teachers Pay Teachers. Remember those Teen magazine personality quizzes we took in middle school? Or more recently, the Buzzfeed quizzes about "What ice cream flavor are you?" or "What's the best state for you to live in?" Well, I'm took a page from that playbook and developed the "What's Your Genre Personality?" quiz for school libraries and classrooms! 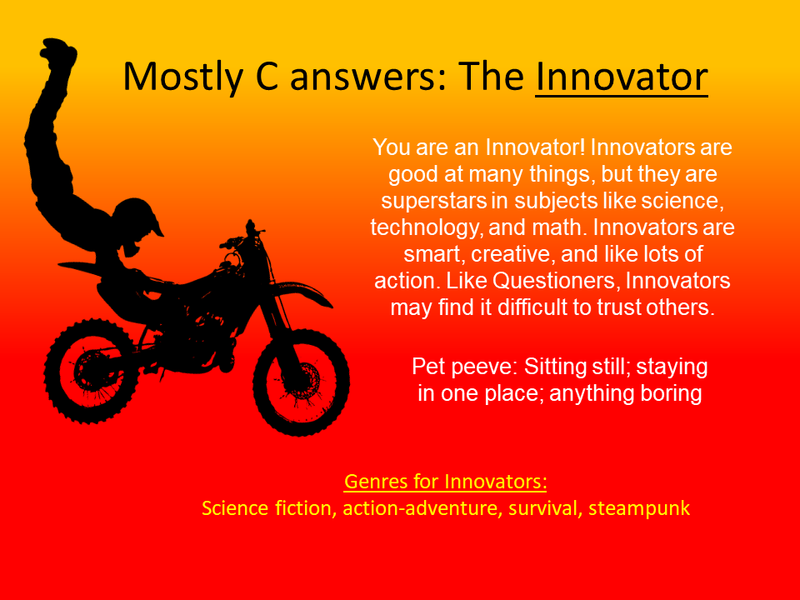 I give a genre personality quiz every year to my incoming sixth grade students. It's a fun way to introduce genre and give the students an idea of what kinds of books they might be interested in reading. Since our library is genre-fied, students are easily able to find and select books based on genre. The quiz is clearly more fun than scientific, but I do think that it helps give students direction. If nothing else, it gets them thinking about choosing books based on their interests. The genres featured correspond with my library's genre sections. Once downloaded, you can edit the quiz and change the genres to suit your library as needed.